The third book in the Kingdom of Silk series. It has taken Perry Angel almost seven years to find the place where he belongs. He arrives in the Kingdom of Silk one day on the ten-thirty express, carrying only a small and shabby suitcase embossed with five golden letters. What do those letters mean? And why won’t Perry let go of his case? 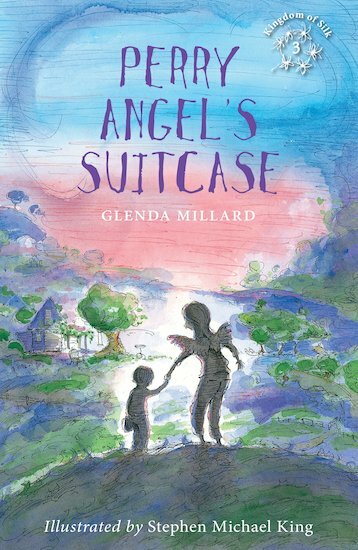 This is a gentle and moving story about being a foster child and finding your place in the world. Stephen Michael King began his working life as a designer for Scholastic Australia before his talents were discovered and his first story published. Since then he has become one of Australia’s most successful authors / illustrators, dominating the best-seller lists and garnering multiple awards. He lives just outside Sydney with his wife and baby daughter.